Mobile Crusher Rental Services Portable stone crusher for production of aggregates and GSB and to be utilized for construction of Highways and Roads.The Mobile Stone Crushers can be installed at limited space near the stone quarry and can be operated with limited operators and staff. Mobile Stone Crushers are capable of crushing basalt rock at the mines location and can be installed with stone quarry. The Crushers are well equipment with modern technology and are capable of crushing 100 tons per hour to 200 tons per hour depending upon hardness of the stone. For production of GSB of size ranging from 00mm to 75mm, primary mobile jaw crusher will be sufficient subjected the feedsize to be less than 350mm. In case the feed size is above 400 – 500 mm then secondary cone or jaw will be required for production of GSB. 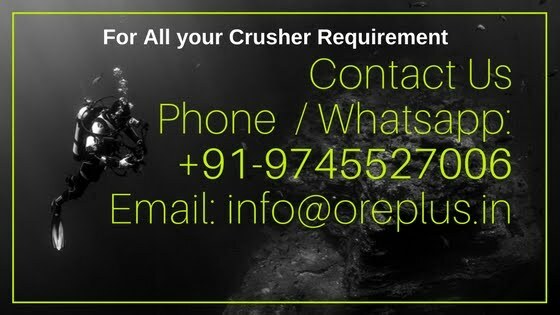 Same two stage crusher consisting of primary and secondary mobile crusher will be required for the production of aggregates (WMM). The crusher can produce size of 00mm, 10mm, 20mm and above. The crushers are mobile crushing units and includes primary and secondary crushing mobile crushers along with screen. The crusher operates either on inbuilt diesel generators or external power supply. After some modification, can be operated on electric power supply. Our Services includes, rental services of portable mobile stone crusher used for crushing stones. The services are provided in complete package of crushing and screening. In some cases, the feeding of crusher to be done by the client’s machinery.Mobile crusher provided by us are economical. The crushers can be operated in limited space and can be mobilize to any location once the work is complete. The stone crushers are available on per ton crushing charges. For details, you can contact us anytime with complete details of your requirement.